Welcome to our Food Blogging Series, our little hub of online info and insight from bloggers within our community. We always some something new to learn from everyone. Today the super talented Kelly Senyei , publisher of Just A Taste blog, associate editor at Epicurious and author of Food Blogging For Dummies book, shares her journey in food blogging. I launched my blog, Just a Taste, in October of 2008 while I was in journalism graduate school in New York City. It was the perfect way to combine my passions for both journalism and food while chronicling my family’s rich recipe history. After grad school, I attended the Culinary Arts diploma program at The Institute of Culinary Education, where I conceptualized and launched the school’s first official blog. I completed my apprenticeship in the Food Network Kitchens and now work full-time both on my site and at Condé Nast as a food editor. 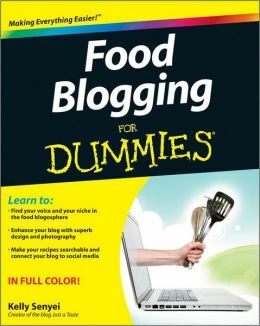 Last April I published my first book, Food Blogging For Dummies (Wiley, 2012), which is a 320-page guide to everything you need to know about food blogging, from dreaming up the perfect blog name and buying the best photo props, to installing custom plugins and making a profit from your blog. There is no place I’d rather be than in my kitchen. It is my creativity zone, my tranquil zone, my happy zone. I cook because the process of transforming raw ingredients into a complete dish puts me at ease — not only because I then know exactly what goes into each bite, but also because it provides the opportunity to make a memory around food with people I love. Some of the happiest moments of my life have been defined not only by the people who were there to share the experience, but also the food that I ate. My parents always say that I can never forget a meal, and I think that’s because meals are some of my absolute best memories. What was your inspiration to start a food blog? I started my blog while in journalism grad school as a way to share my mom’s recipes with other family members. What started as a few posts about my mom’s famous babyback ribs and veggie bars has since evolved into more than 400 original and adapted recipes inspired by every facet of my life, from traveling abroad to dining out at local restaurants. What is it that you love most about food blogging? I love the ability to connect with fellow food lovers from around the globe and to trade stories about our unique experiences with food. So much of what I cook and blog about is inspired by the interactions I have with friends new and old that I’ve met through my blog, both online and in real life. What was an issue you struggled with in the beginning and how did you overcome it? Photography was definitely the biggest hurdle when I first started my blog. I look back at some of my earliest posts from four years ago and see the total evolution of my style, from learning how to prop shots to harnessing natural light from any angle. I’m entirely self-taught when it comes to food styling and photography, but I think it took the trial and error process to really hone my skill set and to develop my unique approach. It’s been a long process, but well worth it! Another issue I struggled with early on was the navigation, layout and overall design (both look and feel) of the site. Navigation is such a critical element of any site, as it has a direct impact on the user experience. No one wants to get lost within a sea of endless unlinked pages, which is why elements such as content categories, sidebar structure and header navigation are so critical. And I ultimately went with the “less is more” approach to aesthetics on my blog, because I prefer a clean, white page that really allows the photos to pop. Your personal advice about food blogging to new bloggers? My biggest advice to new food bloggers, or to food enthusiasts even just thinking about starting a blog, is to start now. Don’t wait for everything to be perfect on your site. There will always be changes and tweaks to be made, but don’t let perfection prevent you from publishing that first post. Success comes in different forms and it’s defined differently for everyone. What do you consider the most successful part of what you do in food blogging? I am thankful to have had the opportunity to write Food Blogging For Dummies because I believe it is the soup to nuts (pun intended!) on everything you’d need to know about starting a food blog. I get countless emails a week from food enthusiasts who have used the book as a way to get their passion from the plate to the Web. And that transformation is how I measure my success. 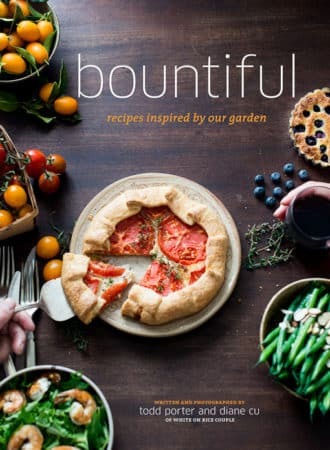 I hope that my work motivates and inspires others in their day-to-day, and that the book is what really allows them to take those first (and second, and third…) steps toward creating their own culinary corner online. Why did you write your book, Food Blogging for Dummies? 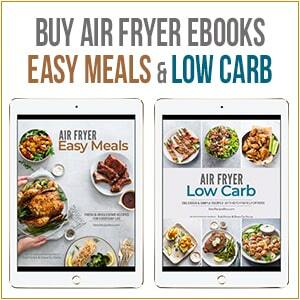 I wrote Food Blogging For Dummies as a way to help food enthusiasts share their passion with the online world. It can be intimidating to know where to start, be it registering your domain, picking a Web host or setting up the backend of your blog. I didn’t want those technical elements to prevent anyone from joining the food blogosphere, so the book walks you through everything you need to know to get up and running. It was also a way for me to share my experiences with growing your blog once you do get into a regular posting routine. Increasing traffic and making a profit from your blog are achievable goals if you know the best and most effective way of branding yourself and your site. I consider the book to be a soup to nuts (pun intended!) guide for everything you could want to know at any experience level of food blogging, from photography setups and food styling tricks, to marketing plans and monetization efforts. What advice do you have to new authors hoping to publish their first book? I would encourage anyone with a unique idea — be it for a how-to book or a cookbook — to take that first step by putting together a book proposal. It’s a significant amount of work, but it also forces you to really get all of your ideas down on paper, as well as to take a look at what other titles are currently in the niche you’re pursuing. I always tell people that the more you can get down on paper, the better. Plus, it gives you a chance to organize (and edit!) your concept. Do you have any questions for Kelly? Ask her in the comments below and you’ll automatically be entered in the giveaway. 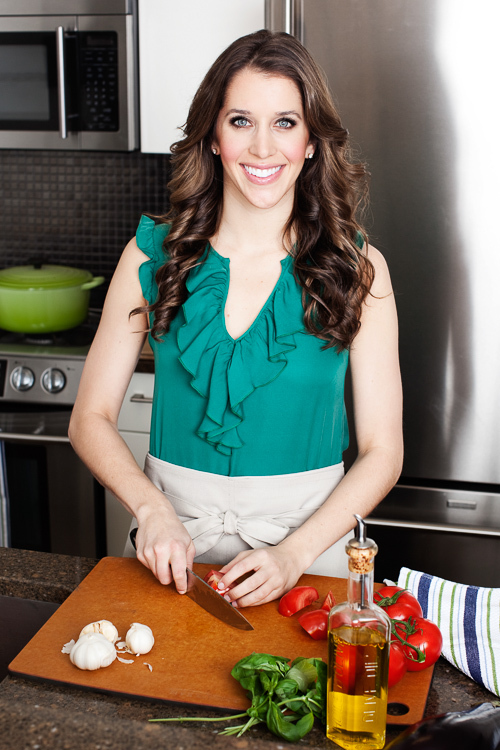 Thanks to Kelly, we’re giving away two copies of her book , Food Blogging For Dummies! update— the giveaway has ended! 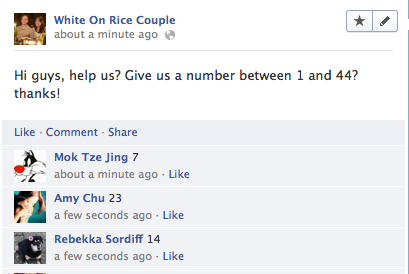 We asked our facebook page to be the random number pickers. Winners are comment #7 Amanda and #14 Gerry . Congrats! To enter, leave your comment below on what makes food blogging or reading food blogs fun for you. Tweet out this giveaway with for extra entries. Remember to have @JustATaste and @WhiteOnRice in the tweet. Then leave the link in another comment. Giveaway ends Monday January 28, 2013 midnight PST. Winners will be announced back on this post on Tuesday. So check back! There will be two winners, each getting one book. Love hearing success stories like Kelly’s and have added her book to my Amazon wish list. I’m sure her advice and knowledge will translate into venues other than food blogs. I also love reading success stories like this! 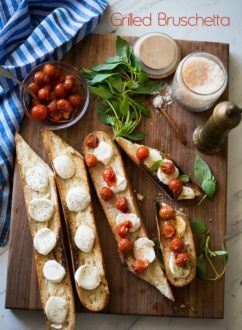 I love finding new recipes on all the food blogs, and so many of them also have great photos of their recipes which is great! Reading through both the interview and the responses above I can’t add anything new but I also enjoy reading blogs for inspiration in my cooking as well as discovering new voices that often times feel like old friends. I started a blog two years ago about my art and found I didn’t have the time to keep it up but my goal for 2013 is to get serious about it…restart it and write every day…well, almost every day, anyway. Your book would be a great resource! I enjoy the blogs because they are so enthusiastic and creative. Thanks to all the interesting things I read, we’re trying new dishes several times a week! Now, if only my photos of the food were that good. I cook for the taste. I blog for the community and making friends. I have met so many wonderful people that I would never dream of not blogging anymore. The inspiration derived from others is so enriching. Hi folks, I’ve been following Kelly’s blog forever, but I only recently discovered the White on Rice Couple – needless to say, I’ve become a dedicated reader! 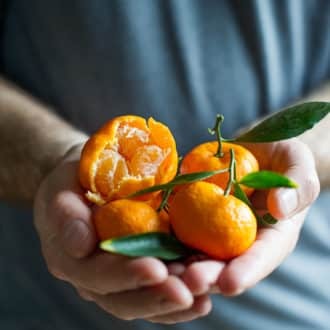 This post caught my eye for a number of reasons – to start with, food and I go back a long way 🙂 I’ve always been a hearty eater, and from an early age, everything about food appealed to me – the look, the smell, the texture, the taste. As I got older, my creative side took over, and my love of eating food was joined by a love of preparing food! So after moving away from home in my late teens, I discovered I thoroughly enjoy spending time in the kitchen. It’s fascinating how you can take the basic building blocks and create just about whatever you want! With that said, I’ve always been interested in photography as well. My camera is never far as I constantly work on my skills. Whether we’re talking about vacations, city scenes around my hometown of Saint John, NB or simply taking shots of our puppy dogs, I’m always taking pictures. So, it goes without saying that creating a Food Blog is high on my ‘To Do’ list! I do a lot of travel blogging right now (http://personal.nbnet.nb.ca/longs/The_Long_Road/journals/the_long_road.htm ), but food blogging is something I’d love to take on some day! Anyway, that’s my long-winded story. I’m quite excited about the opportunity to win a copy of this book! That would be awesome! I love reading food blogs for inspiration!! I love the community that food blogs foster. I am on the coast of New England and I love hearing about recipes and slices of life from other parts of the country and/or world. Great to meet you Kelly! Great interview with Kelly! She is a lovely food blogger and it seems like an absolutely wonderful girl all around! 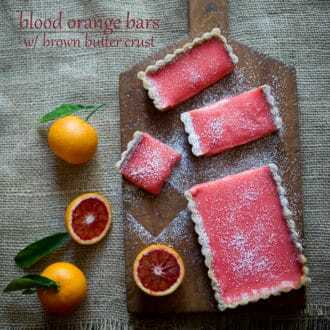 Inspiration is my primary purpose for perusing food blogs. 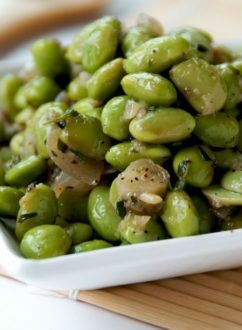 The gorgeous pictures, the unique take on an old classic, the revolutionary idea of blending flavors never before tried, the attempting of feats that seem impossible, yet turn out to be oh so attainable, are all reasons that keep me coming back to food blogs over and over. A treat for the eyes and ultimately for the tummy. I have this book and I love it! Very helpful and informative. I look forward to using the advice to help my site grow! Thanks! I love following food blogs to get ideas for dinner. I recently started my own blog and definitely struggle with the photos! I love food blogging because it challenges me to be creative in so many different ways! And I love reading other food blogs for unique writing styles and fabulous new recipe creations. This series is so helpful for a new blogger such as myself. I would love to have Kelly’s book as a resource. This is so great, I love Kelly! Hi Angela! Do you mean switch from Blogger to WordPress? And are you self-hosting (meaning do you have a URL without the “blogspot” in it)? The sheer amount of recipes and techniques I’ve learned from other blogs astounds me and has opened my world of cooking and DIYing! I love reading food blogs as I get re-inspired to try new cooking ideas and recipes instead of the same-old same-old. As to Kelly’s book, I’m considering starting a gardening blog and the information in her book, I’m sure, might translate to a gardening blog. Hi Donna! Yes, it absolutely will translate! 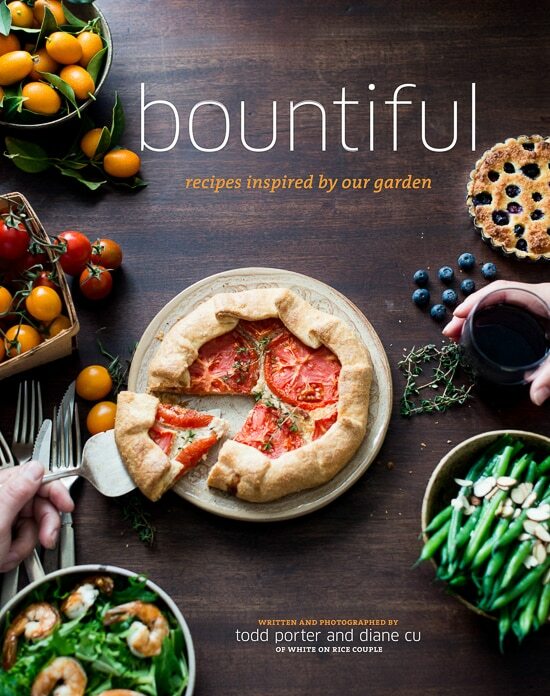 People have used the book to start a wide variety of blogs — food, gardening, fashion — as much of the content translates across the blogosphere. Best of luck with your blog! It’s such an inspiration to see someone who’s a self-learner in this sphere. Reading food blogs helps me grow as a cook and you can never have too many recipes. i love the food blogging community: it’s a group of passionate individuals with stories to tell and a good approach to life (who likes to eat/cook also likes to live!). On a separate note, I met adorable and talented Kelly at a food blogging conference last year and have followed her endeavors since then. She is is a gem. Great feature! Kelly has a beautiful site and book. Love seeing creative food ideas and trying them out myself. I am a newbie blogger so this book would really help me get started! Starting with food photography a few years ago I run now my food blog just since last year. But what I already noted is, that now I love even more to explore further new things about cooking, recipes and photography because now I have discovered that there are also a lot of people outside with similair interests with whom I can share now all those experiences. I’ve almost finished reading her book and the information it has given me has been so helpful, I love it and will continue to pick it up for future advice. Great to see her on here! Thanks so much, Gerry! So glad you’re enjoying the book! I love Kelly! And her hair. Ugh. I keep putting this off. I MUST do it! 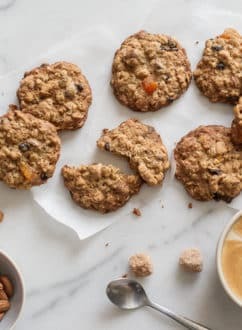 In addition to all the great recipes and cooking inspiration, I love the variety of blogs and how one takes me to a new one and then another new one…. I wish I had the skill and time to be a blogger but sadly I don’t. So for now, I get to enjoy all the beautiful and delicious work of all you bloggers! As a food blogger, what I am enjoying the most is the photography. I am loving being able to take what I know as a nature photographer and use that with food. There is so much more control and so I am learning a ton about light and composition that I never would have otherwise. As a reader, I get SO much inspiration from other food blogs. I am constantly clipping recipes and saving photos, in an effort to learn from all of the talented people out there. Thanks to Todd and Dianne for hosting Kelly. This was a nice introduction. And I do have a couple questions for (any one) of you: I have written a food blog for three years now with little increase in readership; I know regular posting is a must and I seem to do so only in fits and starts. Do you think a blog can be turned around without having to start from scratch? Sounds like I need a cut and dry book like this one to direct my intuitive (but not business-minded) self towards clarity and professional polish. Thanks. Hi Amanda! Thanks so much for your question. You are spot on about the importance of consistency, and it’s actually one of the most critical elements for maintaining a steady readership. I checked out your blog and you are absolutely on the right path. If you get more consistent in your posting, you’ll have more content, which means more chances for eyeballs to grace your beautiful pages. Hope this helps! I love Kelly- great interview! I love to cook and share family recipes but I am very new to incorporating it all,ths book looks perfect for all the help I need.Thank you !! Food blogging is a fun way for me to learn new things — explore new foods, learn about photography, and meet great new friends along the way! I love discovering new and exciting foods and combinations on food blogs, especially ones that are super fresh and healthy. Thanks for the chance to win!